Now let me say that I am no lightweight. I’m 6’7″ and 280lbs on a good day. The center of balance on me is not quite where most people are so my maiden voyage was not as easy as most people experience. 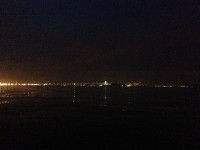 The boat seemed a bit tippy and unsettled. This has been a long process for me. I have back problems and regular kayaks “Hurt” to say the least. And the cost is not something to sneeze at especially when one is on a fixed budget as I am. I am 6’2″, 215 pounds and a mere 70 years young. I am in great shape for an elderly feller but elderly nevertheless. However one of my main plans is to do a fair amount of stand up fly fishing from the W kayak, although I do all types of fishing, and I will be fishing in many different types of water from mountain streams to the Gulf Coast. I have literally studied Wavewalk’s web site and YouTube for a solid year before deciding to take the plunge and just go ahead and order one. I hate to order something like this sight unseen but there is no reasonably close dealer near me so I can look them over and possibly take a test spin. But one thing was for sure and that was a standard yak was out of the question. To say that I am impressed would be putting it mildly!!! I have only had it on the water twice. Once on a river and once on a lake. Both fishing trips. I am still a bit awkward but getting much more confident. Even standing (a bit tentative). Not bad for an “elderly” codger of 70 years. I have rigged up a very simple but effective cart for rolling it over our rocky terrain around here. I have added a couple additional items to the W with pop rivets. Thanks for all the good advice and help in selecting my W.
I will send photos and a video or two when I get it rigged the way I want it. Thanks so much. Your boat is one of a kind. First trip, first time standing. Not bad at all. 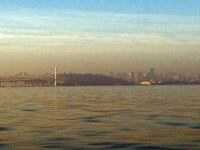 I am an amateur fisherman and an ex UC Berkeley rower. I am a big guy (6’5″-260lbs) who wanted a versatile boat that I can fish and paddle my girls around. 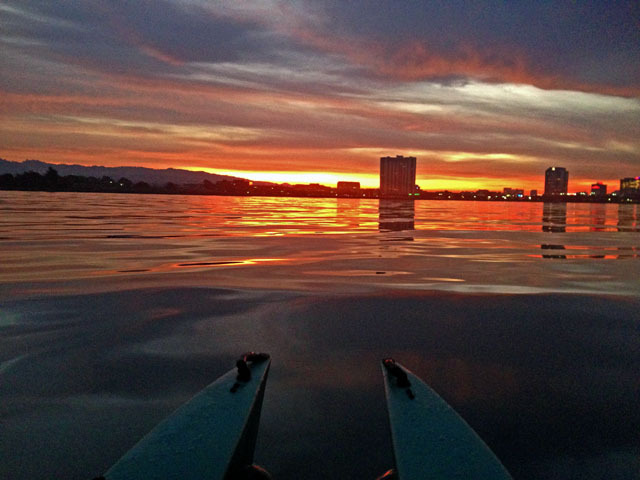 -I owned two sit in kayaks. Both were uncomfortable and neither of them suited my needs. I do mostly beach launch crab fishing and my two-man [brand name] kayak weighed 100lbs and had a huge open cockpit that was subject to swamping. My other boat was an inherited [brand name sit in kayak] that has left me upside down so many times I am ashamed to say. Well I have had the Wavewalk kayak out 5 times so far…what a boat. Wow impressed. -I am amazed at how easy it is to move at a good cruising clip. -I have been averaging just over 6km/hr over a 7.5km distance in flat water with no real wind to speak of. While not blazing fast the effort required to do that would allow me to paddle all day. -Changing your position fore/aft really changes the behavior of the boat! I’ve found that for cruising neutral balance really speeds things up. -Beach launching is a piece of cake as well as you just step in and weight forward until you float, then move back accordingly. 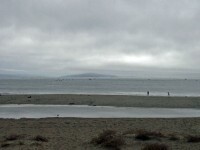 Getting down to the beach isn’t hard either as I can just shoulder it and carry my paddle, necessitating only one trip. I like that. Ok just to reiterate I really like the boat and will have no problem selling it to lake/river enthusiasts. -Definitely a learning curve, being so high out of the water magnifies the lateral motion experienced in your ears, even though this boat is probably rolling less than a monohull. Comfort was achieved immediately on second shot out. -The noodles. Yes I get that they are inexpensive, easily replaced, and very functional. Again in my opinion not an elegant solution for a very cool, technical boat. And since what I do is crabbing, when attached on the sides the noodles get in the way, crab pots get caught in them so I should attach the noodles under the saddle, between the hulls. Now for fishermen the foam noodles actually could be a selling point as you could array your different lures very easily by simply embedding them and hanging the leaders over the side, but for me they get in the way. Thanks so much for making this boat and giving the opportunity you have. I intend to make the most of it. Also I have been grabbing a photo here and there so far. Looking for a good one to put up on the web page. 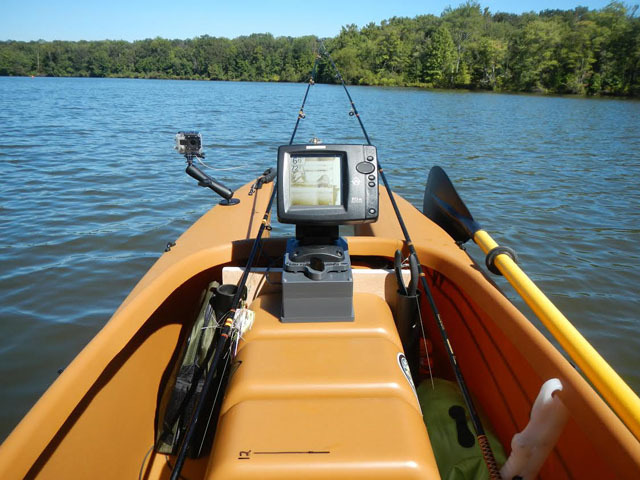 Kayaks from the W500 series are designed to have their twin hulls located at a 12.5″ distance from each other. The ‘Classic’ saddle bracket that we’ve been offering until now is designed to keep the kayak’s twin hulls exactly at this distance, which is why the bracket’s two legs are 12.75 inches apart from each each other. The new type of saddle bracket is nicknamed ‘Relaxed Fit’ and its two legs are located at a 13.75″ distance from each other. 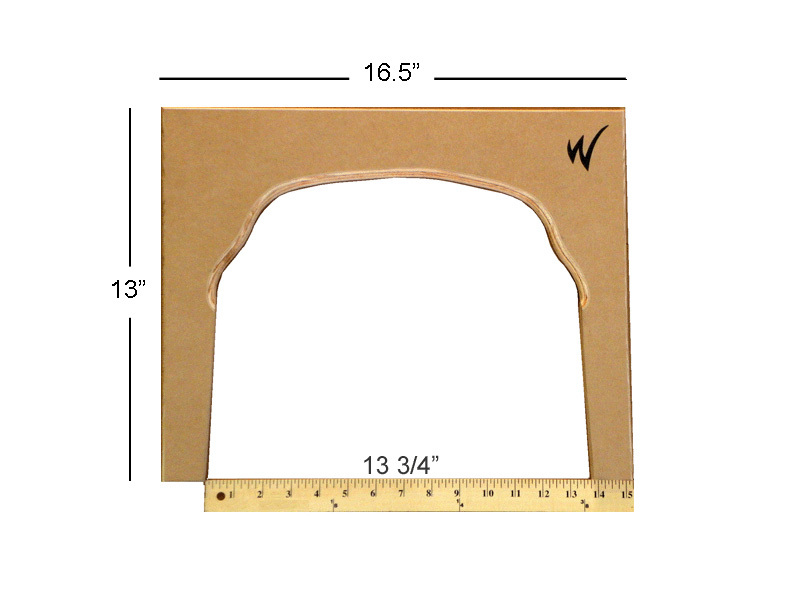 This slightly wider bracket takes advantage of the natural flex offered by the Polyethylene resin from which most kayaks today including the W500 are molded. The ‘Relaxed Fit’ bracket allows the W kayak’s twin hulls to splay about 1/2″ more to each side, and by that have the user gain from a slight increase in the kayak’s lateral stability, as the kayak’s bottom width increases by one inch, from 29″ to 30″. What does the difference mean, practically? 1. Stability – When outfitted with the classic saddle bracket, the W500 is already the world’s stablest kayak, and the new bracket makes it more stable by about 6%, which is a noticeable but not a huge amount. 2. Comfort – With the ‘Relaxed Fit’ bracket on, the saddle’s bottom becomes wider by an inch, so some small-size passengers might feel slightly less comfortable in the riding and standing positions, but such passengers don’t need the new bracket in the first place. 3. Paddling Speed – Because the kayak’s twin hulls are no longer totally vertical, their wetted beam (width at waterline) increases by a few percent. As a result, some paddlers might might feel a very slight decrease in speed as they paddle, although this effect is theoretical as the increased distance between the hulls also works to reduce turbulence and possible drag, and by that increase the kayak’s speed. 4. 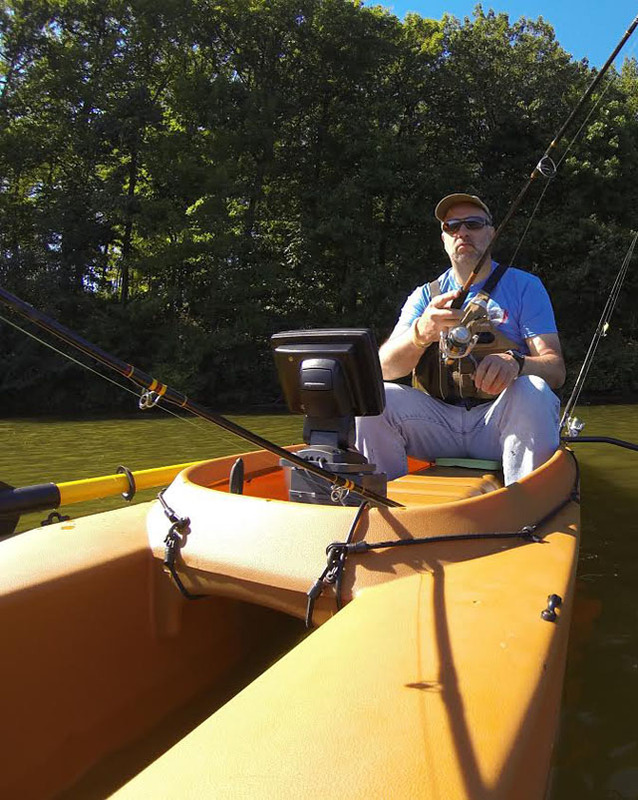 Motorizing Speed – The extra stability gained by the application of the ‘Relaxed Fit’ bracket makes it easier to drive the kayak at higher speed with a powerful outboard gas engine or a powerful electric motor. 5. Storage – Being broader than the classic saddle bracket, the new ‘Relaxed Fit’ bracket takes more space at the entrance of the rear hull tips. This makes it harder to store there objects that are both big and rigid, such as a plastic cooler. 6. 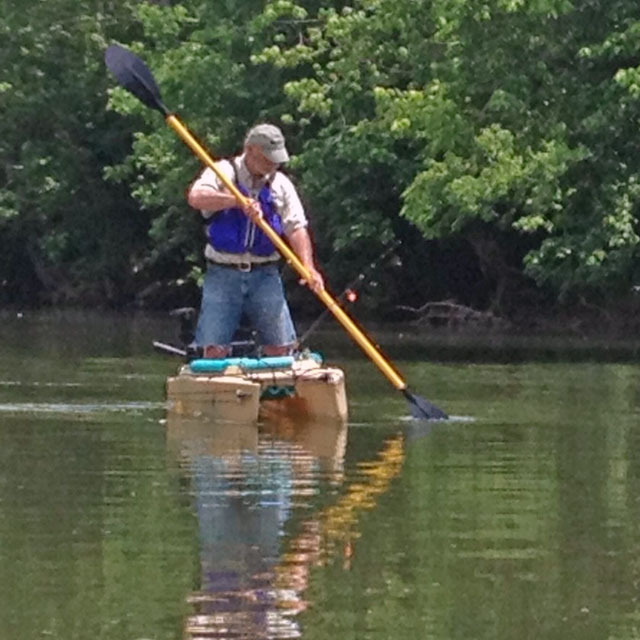 Load Capacity – The recommended maximal load for the kayak is the same (360 lbs). 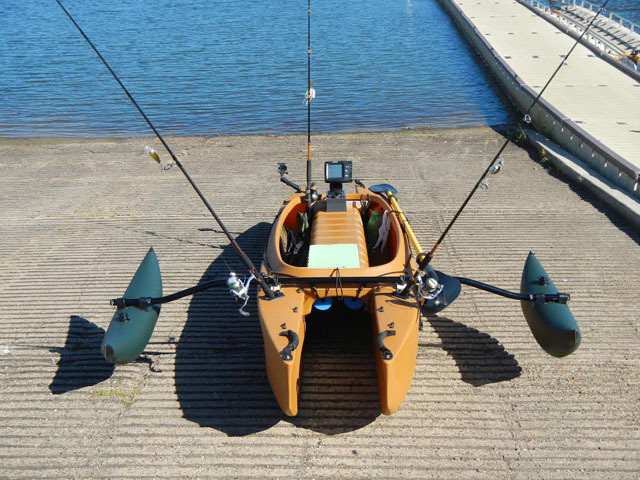 However, due to the increase in its stability with the ‘Relaxed Fit’ bracket on, the kayak is easier to paddle for tandem crews, and when loaded with a single heavy passenger and/or with heavy fishing and camping gear. 7. 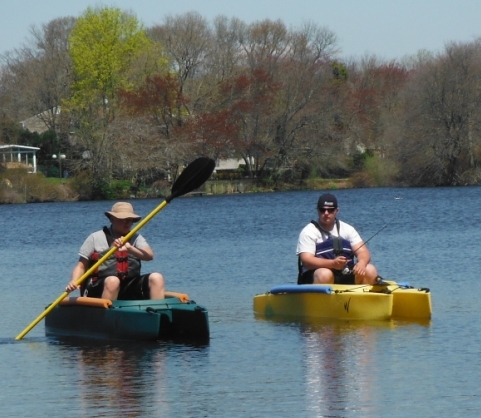 Tandem – W kayakers who plan to paddle or motorize in tandem would benefit from outfitting their W kayak with a ‘Relaxed Fit’ bracket rather than a ‘Classic’ bracket. 8. 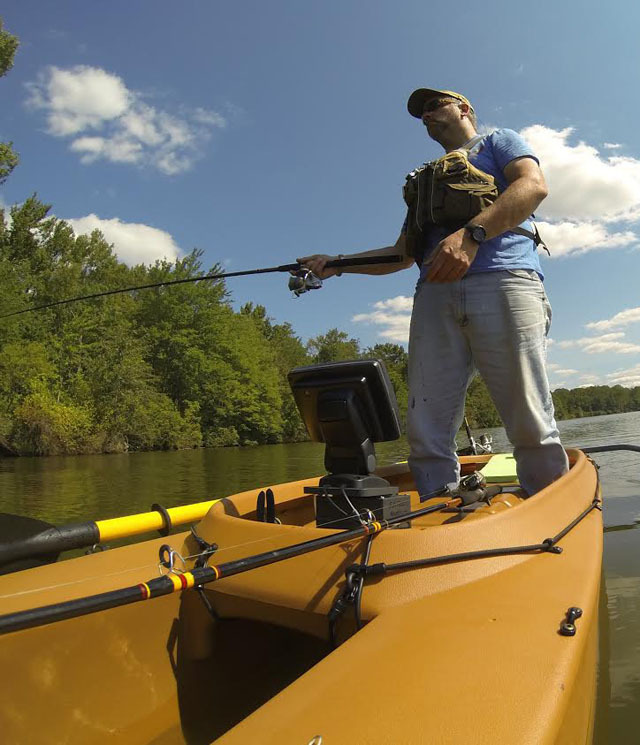 Paddling and Fishing Standing – For most people, the W500 outfitted with a Classic bracket offers all the stability they need for both stand up paddling and stand up fishing. 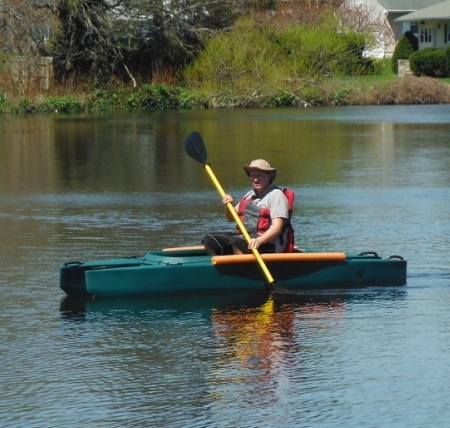 Users who are very tall (over 6’2″) and heavy (over 250 lbs), and/or suffer from an impaired sense of stability due to old age, inner ear problems, knee or hip replacement etc., could benefit from installing the ‘Relaxed Fit’ saddle bracket in their W kayak. 9. Sailing – Any amount of added stability is beneficial to sailors, which is why they would prefer to have their W kayak outfitted with a ‘Relaxed Fit’ bracket rather than a ‘Classic’ bracket. 10. Outfitting – Like the classic saddle bracket, the new saddle bracket can serve as a structural element in building bases for poling platforms, dog platforms, tables, high seats, etc.